It was revealed at E3 that there would be new Pikmin types in Pikmin 3, however, only the new rock pikmin were elaborated upon. 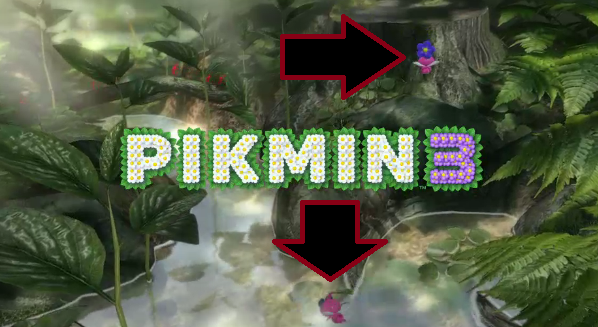 If you check the first few seconds of the trailer for Pikmin 3, you will see what appears to be pink, flying pikmin. These were not spoken of at all in the trailer by Miyamoto. One appears to have a purple flower, reminiscent of the white and purple pikmin from the previous game. It’s unclear the true potential and abilities of these pikmin, but they do seem to actually be, well, new pikmin in Pikmin 3.